The Chevy Malibu is a mid-size car, currently in its ninth generation. It has been a favorite among consumers for its intuitive technology, hybrid options, and impressive performance, for decades. For the 2019 model year, the Chevy Malibu received some incredible upgrades including a larger grille, heated 2nd-row seats on the top level trim, and a new 8-inch infotainment system. The standard 6-speed automatic transmission has also been replaced with a CVT, and the addition of the new RS trim is destined to be a hit for the sportier consumers. Drivers interested in the 2019 Chevy Malibu for its efficiency and environmental friendliness, will be more than satisfied with its Hybrid model. Not only does the 2019 Chevy Malibu Hybrid deliver a fair amount of power with 182 horsepower, but it does so with top-of-the-line fuel efficiency at 49 mpg in the city and 43 mpg on the highway. Engine options for the 2019 Chevy Malibu include a 1.5L turbo engine with a CVT standard in the L, LS, RS, and LT models and a 2.0L turbo engine with a nine-speed automatic transmission on the Premier trim level. The 2019 Chevy Malibu is also an excellent option for drivers looking to prioritize advanced safety features in their search for a new car, as it includes a variety of impressive standard and available safety features. These include a backup camera, brake assist, and traction control. When it comes to entertainment the 2019 Chevy Malibu pleases drivers and critics with its 8-inch Chevrolet Infotainment 3 with an available HD screen. Overall, if you’re looking for an innovative, powerful, and efficient midsize car at an affordable price, the 2019 Chevy Malibu is the perfect vehicle for you! The 2019 Chevy Malibu Hybrid is the perfect blend of efficiency, luxury, and convenience. This model of the Malibu has a starting MSRP of $28,070, which is a fair value with this model’s top-of-the-line fuel efficiency of 49 city and 43 highway. The power behind this efficient machine is an 80-cell 1.5 kWh lithium-ion battery pack. One of the most unique mechanical features of the 2019 Chevy Malibu Hybrid is its regenerative braking system which uses kinetic energy stored in the vehicles battery system while braking; This is the same braking system utilized on the Chevy Volt. Another advanced feature is the Exhaust Gas Heat Recovery system. Sounds complicated right? Simply stated, this technology helps the vehicle maintain consistent fuel economy even in the coldest weather conditions by using heat from the exhaust to warm up the interior of the vehicle. This technology also helps to improve how the engine is heated up. Considering as one of the higher trim levels of the 2019 Chevy Malibu, this model also features some incredible entertainment and convenience features. These include Apple CarPlay and Android Auto, OnStar 4G LTE with a WIFI hotspot, and keyless entry. The Teen Driver system is also standard on this model as well as LED daytime running lamps. Available features include wireless charging, heated leather-trimmed seating, and the Driver Confidence Package which includes City-Speed Front Automatic Braking, Rear Cross Traffic Alert, automatic high-beam control, Front Pedestrian Braking, and Front and Rear Park Assist. Like all other models of the 2019 Chevy Malibu, a backup camera is a standard feature on this midsize sedan, as well as Chevy’s stability and traction control systems. Overall, drivers looking for one of the most efficient sedans on the market with plenty of luxury, entertainment, and safety features, should look no further than the 2019 Chevy Malibu Hybrid. Driver Confidence Package: Includes Side Blind Zone Alert with Lane Change Alert, Rear Park Assist, and Rear Cross Traffic Alert. This package is available for drivers who invest in the LT, Hybrid, or Premier trim levels. Driver Confidence Package II: Includes Intellibeam, Forward Collision Alert, Lane Keep Assist, Low-Speed Forward Automatic Braking, Front Pedestrian Braking, and Forward Collision Alert. This package is available for drivers purchasing the 2019 Chevy Malibu Premier. Of course, there are plenty of safety features outside these packages. These include a 10-airbag system, stability control system, traction control system, standard backup camera, and hill hold. 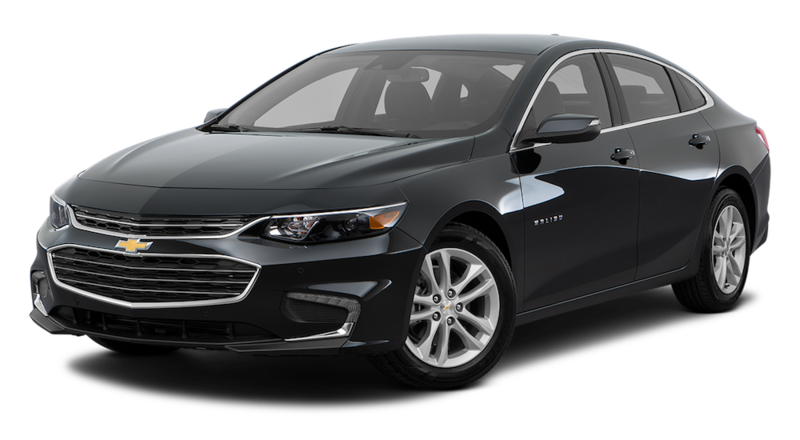 Overall, the 2019 Chevy Malibu is an excellent choice for drivers looking for the latest safety technology onboard their new sedan. Drivers of the 2019 Chevy Malibu are sure to be pleased with the abundance of onboard tech offered across its varying trim levels. One of the most exciting entertainment features of the 2019 Chevy Malibu is the Chevrolet Infotainment 3 system with its standard 8-inch touchscreen display and available navigation. You’ll please even the most tech-savvy drivers and passengers onboard. Of course, there are even more entertainment features available for this intuitive midsize sedan. These include wireless charging, USB ports, and Apple CarPlay and Android Auto. For the LS, RS, and LT trims, OnStar 4G LTE WIFI is standard with a complimentary 3-month trial. Technology also includes advanced convenience features, which are plentiful on the 2019 Chevy Malibu. Standard on every trim level of the 2019 Chevy Malibu are rear seat reminders, keyless open and keyless start, while a remote vehicle starter is an available feature. For the LT, Hybrid, and Premier trim levels a power sunroof comes standard. Of course, if you’re looking for the ultimate in convenience and luxury, upgrading to the Premier trim provides dual rear-seat USB ports, heated leather-trimmed front driver and passenger seats, and a heated steering wheel, as standard features. Want to enjoy these features but don’t intend on upgrading to the Premier trim? Most of these features are available on the LT and Hybrid trim levels at an additional cost. For the 2019 model year, the Chevy Malibu features some impressive enhancements. Drivers choosing to invest in the 2019 Chevy Malibu can now enjoy a backup camera as a standard feature on the base model of this midsize sedan. This means that drivers can enjoy this safety and convenience feature at no extra cost. Another exciting feature is the new addition of the Chevrolet Infotainment 3, which includes an 8-inch touchscreen display and offers available navigation. But the 2019 Chevy Malibu doesn’t stop there! This new model also features an available 8-inch reconfigurable driver information center, which keeps drivers alert of every aspect of their vehicle and surroundings. Looking for a sportier ride? For 2019, drivers can get the Chevy Malibu in the all-new RS trim. This trim level features a sporty grille, bowtie emblems, and upgraded wheels and exhaust. Meanwhile, the inside offers drivers every bit of luxury they need with a leather wrapped steering wheel and shifter, and high-quality black upholstery. When it comes to safety, Chevy kept young drivers in mind by offering its Teen Driver system standard on all trim levels except the L trim. For the parents of new drivers, this system is a critical feature in helping to ensure the safety, progress, and awareness of your teenager. A full suite of airbags and Stabilitrak, a stability control system, are other standard safety features of the 2019 Chevy Malibu. At Carl Black Nashville, we understand that purchasing a vehicle isn’t just about the car you end up with, it’s also about the service you receive along the way. To create the ideal car-buying process we offer premium customer service, transparent pricing, and a high-quality new, used, and certified pre-owned inventory. Our staff is knowledgeable and passionate about the vehicles on our lot and is eager to help you find the perfect fit for you. 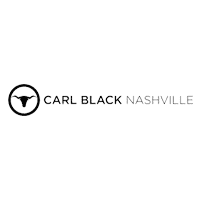 From the moment you enter the Carl Black Nashville lot, you’ll be greeted in a friendly manner and taken on a guided tour of our inventory while we listen to your needs and budget. Once we’ve helped you find the right car for you, our finance will take care of securing the right loan or lease for your lifestyle. Have a strict monthly budget to follow? No problem! Our finance experts will work to make this happen, even if you have poor credit. No matter what you’re looking for in a vehicle, we’re sure to have a perfect fit for you on our lot! And you can feel confident that we will take pride in the process of helping you find it. So, when you’re ready to start looking for your next vehicle, stop by Carl Black Nashville!